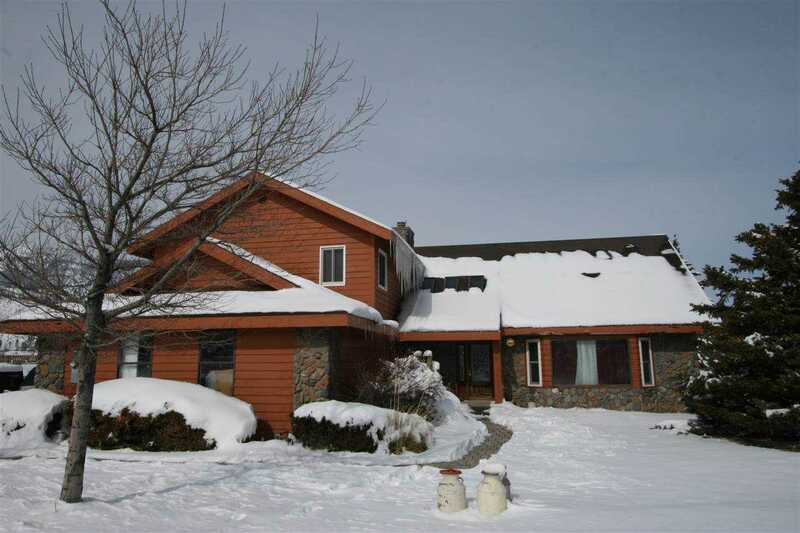 Unique opportunity in west Washoe Valley, two stories on 5.39 level acres, 4 bedrooms 3 baths, 2 fireplaces, bay windows, great views. Near Toiyabe Golf course. The 2,984 sqft home has large family room, living room and dining room. Upstairs Master + ensuite, 2 guest beds and baths. Attached 2 car garage plus huge detached garage shop, 3,200 sqft, 12' plates and 10' x 10' doors room for autos, boats RV's, 10 or more. Close to I580, Carson and Reno. Tenant occupied, 24hr notice required. Motivated Seller! SchoolsClick map icons below to view information for schools near 32 Bellevue Washoe Valley, NV 89704. Listing provided courtesy of Sierra Signature Realty.